At the beginning of The Hobbit, Bilbo was absolutely and positively adamant that there was no way he was ever leaving the Shire. Gandalf and the dwarves had barged into his home, eaten his food, unsettled his life, and why on Middle Earth would he want to leave his home to go on a messy and unpredictable adventure!? Luckily for us, Bilbo changed his mind; after all, no one wants to read about a story’s protagonist sitting at home spending his days smoking a pipe and making dinner. The reluctant hero is a common trope in literature, film, television, comic books, and pretty much any method we have of telling a story. Bilbo Baggins is just one of countless examples. Consider Buffy Summers from Buffy the Vampire Slayer, or Sam Winchester from Supernatural, or Richard Mayhew from Neil Gaiman’s Neverwhere, or Violet Parr from The Incredibles, or even Peter Parker from Spiderman. The list goes on and on. Each one of these characters, especially at the beginning of their tale, just wanted everything to go back to normal and for all the chaos and uncertainty of what their life had become to go away. Eventually, whether out of a sense of responsibility, an acceptance of their destiny, or even the realization that it was all kind of (maybe) a little fun, in the end, they almost always choose to become the heroes we want to read about. It’s no surprise that this archetype is an inspiration for the background of many roleplaying game characters. When taking a character from a humble, normal life to a one of peril and adventure, it makes sense to explore the issues that come from being a reluctant hero. While this is a perfectly valid background that can be executed well, occasionally the transition from a reluctant hero to a willing one doesn’t go as smoothly in RPGs as it does in stories. In some cases, having a stubbornly reluctant hero in the party can dangerously derail a game and cause frustration for everyone involved. The other players can get irritated by being held back, the GM can get frustrated trying to move things along, and even the player of the reluctant hero can get frustrated as their character is potentially marginalized and even ignored. So what can you do when faced with a reluctant hero amongst the characters in your game and it’s starting to cause a problem? Well, that depends on where you’re sitting at the table. As a GM, it can be hard enough during the best of games to wrangle players into the general direction of plot, so adding in a problematic character makes life even more difficult. This can be said for any type of problem character/player the GM faces, but one of the biggest issues with a problematic reluctant hero is that the player is usually just roleplaying. If confronted about the issue, the player may just say, “But I’m doing what this character would do!” When the player is legitimately staying in-character, it can put the GM in a tough spot to try and solve the problems that character presents. One solution is to prevent the problem from happening in the first place. At the start of a new campaign, it can help to set up character creation guidelines that establish each character’s involvement before the dice even start rolling. You could have all the characters start as part of an existing organization, or require that they all share a common goal that will lead into the plot of the game. Sometimes having the players establish relationships between their characters before the game starts can also help alleviate some issues. None of these ideas guarantee a game will start smoothly, but they can avoid some of the stumbling blocks a new game can experience, and at least it’s fresher than that old trope of random strangers meeting in a bar. Sometimes everything sounds fine during character creation and problems are only discovered once the game is underway. It is always crucial for a GM to keep an eye on the mood of the entire table, but in this circumstance it can be even more important. If everyone is having fun and enjoying the game in spite of a character dragging his or her feet, it’s okay to just roll with it and let them roleplay it out. Once the other players start to get bored or openly frustrated, the GM will need to step in and get the action moving. A key point to remember is that regardless of what the PCs are doing (or NOT doing), the world will move along without them. NPCs and villains will continue with their plans, carrying out nefarious deeds and raising the stakes on whatever it is the PCs should be trying to accomplish. It’s entirely possible that the result of their inaction may rise up and figuratively (or literally) bite them on the nose. It’s not fair to penalize the entire table for the inaction of just one character, but hopefully in the face of such circumstances, even the reluctant hero will step up and help save the day. If all attempts at getting the reluctant hero involved fail, the other players may eventually want to leave that character behind. This isn’t an ideal situation, but if the player of the reluctant hero refuses to nibble on any plot hooks, it may be the only in-game solution left available. At this stage, it is a good idea for the GM to pull the reluctant hero’s player aside and discuss the situation. Sometimes players get so caught up in the motivations of their characters, they forget to look outside of that narrow view and realize they’re hurting the game rather than helping it. Find out what the player thinks the character needs to go from an inactive character to one that’s actually involved in the action. Like Peter Parker, they may need an ‘Uncle Ben’ moment to shock them into action and realize ‘with great power comes great responsibility’. If even that fails, it is fair for a GM to ask the player to make a new character that actually WANTS to get involved in the story. Be careful of serial offenders; most players tend to stick to certain archetypes, so you may need to watch a particular player a little more carefully during character creation to try and guide them away from creating the exact same issue again, just with a new name and face. Being a player in a game where a reluctant hero is dragging things down is very frustrating. The GM may be forced to split attention between characters as some try and move forward, but another holds things back. Most of the work on solving this problem will be on the GM and the player behind the reluctant hero, but there are a few things that other players can do. Running the game is the GM’s job, but good players always find ways to advance the story and involve the other characters. Building relationships between PCs is something that enhances the story for everyone and helps the GM make the game personal and interesting for everyone involved. If one of the other characters is a reluctant hero, it can help to simply ask for that character’s help. 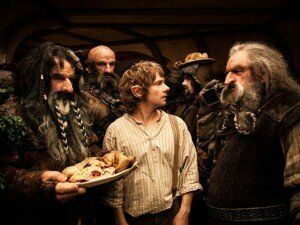 Bilbo may have been initially unwilling to leave his home, but Gandalf and the dwarves did ask and it got him thinking. Building any kind of relationship between your character and the reluctant one can help. Regardless of what the reluctant hero decides, you can help keep moving the game forward. Invite the reluctant one along, but don’t let a wet blanket completely spoil your fun or your character’s adventure. Even if they want to stay home, you can still have your character dive headfirst into the plot hooks the GM is laying out for you. It’s important to remember that roleplaying games are a cooperative effort. This may seem like an obvious thing to state, but occasionally everyone needs a reminder. While staying true to a character concept is usually a good thing, it is also part of the player’s job to get their character involved in the story. Think of all the reluctant heroes listed at the beginning of this article as well as the legion that weren’t mentioned. Despite what the character wanted, they still dealt with the obstacles in their path and (usually) saved the day. It is not up to the GM to come up with your character’s motivations – that’s all in your hands. There are almost as many reasons for a reluctant hero to actually become a real hero as there are stories. 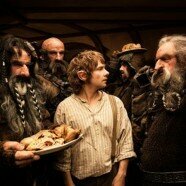 Bilbo had an itch of curiosity that Gandalf sparked. 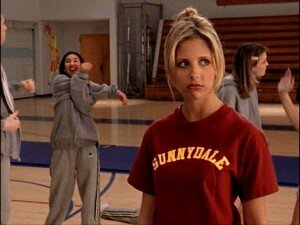 Buffy was the chosen one. Sam felt obligated to look out for Dean. Peter Parker needed to make up for his mistakes. Sometimes characters just need to learn who they really are. 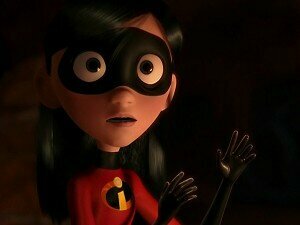 Violet in The Incredibles thought she just wanted to be a normal girl, but by the end of the movie she’d come to embrace the fact that she and the rest of her family were special. It’s a journey that many characters go on, but in roleplaying games the player of the reluctant hero must understand how to get and keep their character involved in spite of their in-character desires. If a character has no reason or desire to go adventuring and you can’t come up with a reason for them to do it, retire the character and make a new one that actually wants to get involved. Playing it safe may work for real life, but it doesn’t work for most stories and certainly not in roleplaying games. Characters need to take big risks and attempt big, bold things, whether it’s to save the day or get the glory. The GM wants you to take an interest in the story unfolding around and with your character. Ultimately they want you to be involved as much as you want to be playing. Reluctant heroes can be played fantastically and can be an incredible enhancement to almost any game, but on those rare occasions that the character becomes a problem, it helps to have an understanding of where the archetype came from and where it might need to go. Most characters are salvageable; they just may need a little work between the GM and the player to figure out the best way to get the character involved. Have you ever had to deal with a reluctant hero at your table? How did you and your group eventually deal with it? Special thanks to Brian Keller of Windmill Game Co. for sharing his insight on this subject after running a game for an entire table of reluctant heroes. My typical reaction to a “reluctant hero” is to, well, “kidnap” them. So long as it’s in my character (which it often is ;D ) I’ll go out of my way to include that person in what’s happening–even it means I have to roll for a grapple and physically haul them into the adventure. It usually works, and even if the reluctant hero gets angry at me for doing so, at least they’re engaging with a fellow PC; that’s the first step. As a GM, if a reluctant hero has given me a backstory, I’ll dangle a couple of juicy plot hooks tailored to that PC. Your father vanished at sea? Maybe some guy comes at you with a knife because you look remarkably like the pirate that sunk his merchant ship. Your sister was murdered? Maybe you find a love note that your sister had written to a gentleman who doesn’t have the best reputation. If a player doesn’t give me a backstory I usually return to plan A: “Kidnap them” except with an NPC doing the ‘napping.